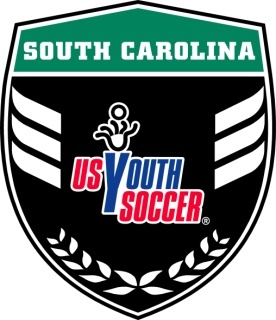 Welcome to the South Carolina Youth Soccer Association Olympic Development Program. We thank you for the time and commitment you have made to your player and the sport of soccer in the state of South Carolina. The 2019 ODP Information Packet describes the purpose of the Olympic Development Program and its focus upon the growth and development of soccer players in South Carolina. Included are a listing of Olympic Development Program Events and an estimated fee schedule. The event and fee information is preliminary and subject to change. The Olympic Development Program is designed to complement a player’s club training. ODP events are scheduled around SC Youth Soccer play dates and major College Showcase Tournaments. US Youth Soccer ODP is not only the first and original ODP program, but also the only elite player development program that can claim members of Major League Soccer and Women’s Professional Soccer, as well as a majority of current and past national and youth team members, as alumni. The South Carolina Olympic Development Program demands a commitment to excellence as the program offers the opportunity for development along with exposure and identification by some of the State and Region’s top Collegiate, Club and National team coaches. If you have any questions about the evaluation process or the Olympic Development Program, please do not hesitate to contact the state office. Again, we thank you for your time and commitment. Good luck at evaluations!